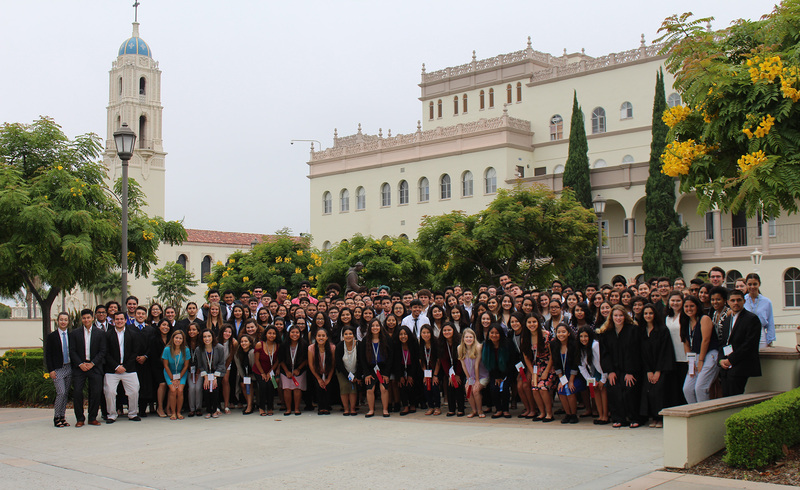 The 2018 California LDZ brought a unique group of nearly 175 students to the University of San Diego last week, as part of a successful ongoing program that features arguably the most bilingual group of students to an NHI program. Staff members estimate that 75 percent of the students — primarily from California, Texas, and Arizona, but featuring students traveling from as far as Chicago, Seattle, Caldwell, Idaho, and Torreon and Queretaro, Mexico — speak both English and Spanish. El Paso had a particularly impressive showing at the event — in addition to Magallenes winning the Governorship, Leah Pinon, of Pebble Hills HS, was elected Lieutenant Governor, and Dinorah Lopez, of Loretto Academy was the only student to have a bill passed. Her “Getting to Know Us” bill, as she conceived it, was for “a TV show to tell the stories of Latinos, it’s going to explain our culture … our history … but not in a documentary way. It’ll use animation, be colorful, and super-entertaining, an eye-catching sort of thing so people will actually pay attention.” Lopez first learned about NHI through a presentation at her well-represented school. The program also got notice from Univision, which ran a feature story on the event on its popular Despierta America program.